13 December 2011 by . As you know, Jesus has guided us through his messages starting from September 2010. He finished a cycle with the message of September 23, 2011, entitled: “I will send you the Advocate, the Spirit of truth” in which, among other things, He promised that the Holy Spirit will guide us in a special way. With the following message, the Holy Spirit begins to teach us, as Jesus promised. How will Jesus accomplish all this? With the power of the Holy Spirit He will heal the corrupted spirit of humanity, He will strengthen it so that it might reject corruption on its own and rise up again. The Lord will be able do this with the power of the Holy Spirit only in the spirit of men available to be transformed and elevated. The way Jesus rose from the grave in the power of the Holy Spirit, in the same way, with the same power, humanity will receive the opportunity to come out of corruption. In the message that follows, the Holy Spirit leads us to Jesus Christ, Lord of the universe and together with Jesus to the Father. He explains to us which attitude has to be taken in order to be involved in the almighty action of the Most Holy Trinity. Together with Jesus the Holy Spirit will instruct us in our hearts and will confirm us in the truth. He will give to all men a great opportunity to get to know him; He will free humanity from the oppression of the spirit of evil, from the deviations, confusions, and seductions that are wide-spread on Earth as well as in other parts of the universe. Dearest readers, let me ask you some questions which I asked myself as well. understand and live this project of God? spread it and witness it? form nuclei of people who in turn are willing to live and witness this project? Humanity will begin to rise thanks to each of you, and your eyes will reveal a great hope in the fulfilment of God’s promises. 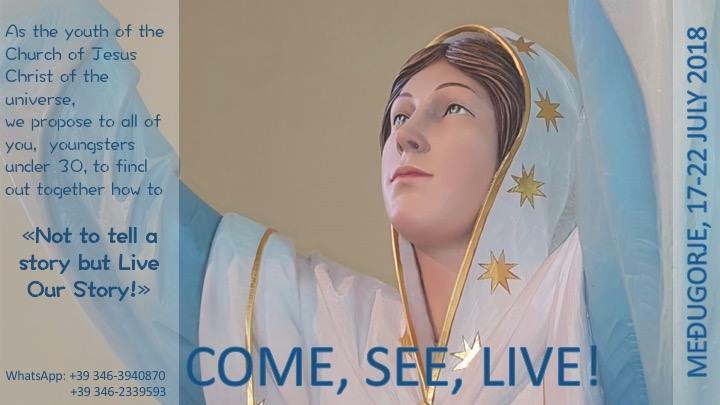 If you would like to join this project, the Publishing House “Luci dell’Esodo” will be at your disposal, to answer your questions and to accompany you with prayer. May the Lord bless you and accompany you. I greet you, dearest children! I greet you who believe in the One and Triune God, who have accepted Jesus Christ and love him. You are children of God, born of the Spirit and no longer subject to the dominion of the flesh and the matter. I also greet those who do not believe or find it difficult to believe; you too are God’s children, but you have yet to discover and understand it in order to be happy. I greet and bless the whole of humanity on Earth, gripped in great tribulations, but called to rise up again in Christ, to be transformed and to enter into the new creation. I come to you because the Father is sending me in the name of Jesus, to fulfil what is up to me: to instruct you, defend you, and protect life within you, that life which I communicate to the whole universe. I come to speak to you about God and about the things of God, about Jesus and his love, so that you might find the road that leads to Christ and that through him you might come to know the Father. If you are docile to my words and put them into practice, you will make great steps in the spiritual journey, and I will accompany you to the full understanding of what you need in order to be new creatures. Do not be afraid and follow me, let me lead you into the depths of God. I begin my conversation with you, starting from a central point which is: GOD IS LIFE; everything that exists has been created by God and it can only continue to exist if it remains in God. He, who accepts this truth, lives in the awareness and the freedom of the children of God. He, who rejects it, does not live an authentic life and ends up in the darkness of ignorance and slavery. God is the One and Triune: Father, Son and Holy Spirit act in unison in their originality. Each of the Three Persons has a specific action, which, however, converge into a broader unified action, uninterrupted and sublime, that of the Most Holy Trinity. In this way the work of the Father harmonizes and completes itself with that of the Son and of the Holy Spirit, without neither overlaps nor interferences. The Trinitarian action, which is creative, redemptive, and sanctifying, is the greatest force present in the universe from which all spiritual and physical laws that govern creation take effect. The life of each of you is rooted in this truth: you have been created by God, and you are creatures. He has not created you to take advantage of you, because He does not need anything: God is sufficient to himself. He has created you out of love to let you participate in his immense life and glory. God does not keep anything for himself, nor does He withdraw into himself, but He allows his power to flow freely. The flowing of his power generates life. God is life and therefore creates; if He were not to create He would not be God. God is above every other being, since He is the Creator; but He does not place himself as a master in front of his creatures. On the contrary, He is a caring father who sustains all living beings with love, giving them what they need. Not only that: in creating angels and men, the most sublime creatures, He gave to them the thought, intelligence, and knowledge. He provided that they would collaborate with him, and charged them with a very important service for the benefit of the whole of creation. Nevertheless, God remains God; his intelligence and his strength remain far above those of other living beings. You are called to cooperate with God, but you are not like God, on the contrary, you are limited creatures. God put you a limit. This is the structural limit or creatural limit, which every living being, from the smallest to the largest, carries within itself because it is part of its structure, and this is what clearly distinguishes the creature from the Creator. God did not do this to humiliate you, but to protect you and to prevent you from harming yourself and other creatures. In fact, the laws that govern the universe are powerful laws, infallible and sublime; only the intelligence of God can grasp their full importance and rule their effectiveness. Only the love of God can work in such a way to make the laws of life work to the benefit of the creatures and not to their detriment. God progressively communicates to man the knowledge of these laws. The more man is faithful to God, the more he receives intelligence from his Creator; the more the spirit of a creature is elevated, the more God gives knowledge, as in the case of angels, who are pure spirits. God is not jealous of his wisdom; on the contrary, He willingly grants it to those who are his friends. God gives the power to understand and intervene on the laws of creation to his good and faithful children, because they act submitted to God, in harmony with him and with love for all creatures. In this case, the structural limit is not an obstacle to knowledge. This is the case of men from other planets, who have not committed original sin, and have understood and accepted that God is above everything and everyone. Therefore they remain limited creatures compared to God, but divine grace sees to it that the creatural limit is no obstacle to the fulfilment of their mission, as they are totally faithful to God and without selfishness. However, human knowledge can never exceed that of God because, as I said, God remains always God. Understand that misuse of the laws of life would cause immense damage to creation; the power that emanates from such laws would become a lethal weapon in the hands of who does not know them or, even worse, who wants to exploit them to his advantage. No one can play with the laws of life. If God were not to put a limit to the creatures, the world would face serious dangers. It is necessary for you to understand and accept that you are creatures. If you do not do this, you would inevitably be deviated towards selfishness and egocentrism. Lucifer did not accept being a creature. He wanted to be like God, in fact, above God. He did not accept his limit because he did not understand the love of God, nor did he welcome it within himself. 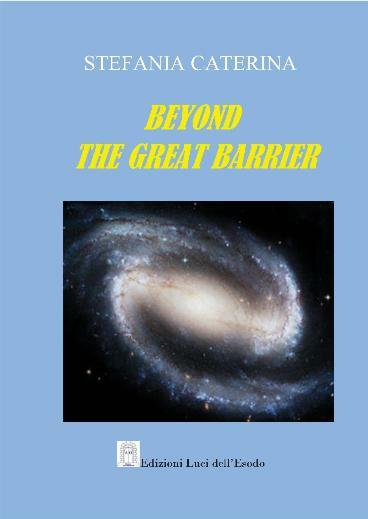 He wanted to force the order established by the Creator by going beyond the boundaries established by God, and fell disastrously. Detached from God, he used the knowledge gained as an angel in an evil way causing the ruin of many living beings. Lucifer deceived part of humanity, and many men including your progenitors trusted him. Those men knew well that they were creatures and that they could not be like the Creator. But Lucifer persuaded them to rebel against God, convincing them that in doing so, they would eliminate their limit forever and become like God. Like Lucifer, your progenitors did not accept their limits as creatures, causing much pain to themselves and their descendants. With his lies, Lucifer has created a false image of God in men, that of a tyrant who wants to enslave his creatures. He led your progenitors into an alliance with him, so that they might obtain knowledge which should have made them equal to God. Lucifer’s deception continues even nowadays because, still, many of you do not accept having been created and being limited creatures. They trust in the devil to have their limit removed and to be strong and victorious. In this way, they believe to be able to dominate the universe and the creatures, and constantly violate the laws of life. The damages caused by their behaviour are for all the world to see: suffering, diseases, natural and spiritual disasters of every kind which afflict and haunt you. After original sin mankind became divided: one part remained faithful to God, the other not. Your brothers of the universe who remained faithful have entirely entrusted themselves to God, they believed in his love and in his goodness, and advanced in a marvellous way in knowledge in every field. Their degree of civilization is far above your own, but they continue to feel themselves as creatures, limited and in need of God’s help, of his strength and of his intelligence; they are docile and sincere, therefore they obtain from God an understanding of the reality that expands continuously. The rebellious part of humanity, including yours, has stubbornly continued to reject the true God. On Earth your progenitors allied with Lucifer, worshiped him directly or under the guise of false gods to obtain what they so much desired: the knowledge that would have made them like God. Poor men! Having cut their bond with the true God, they however remained fragile creatures; Lucifer’s promises did not realize themselves, quite the opposite: instead of becoming like God, your progenitors ended up under the yoke of the devil. Your humanity needed someone capable of breaking the yoke of Lucifer and indicating again the right way. A Deliverer was needed, able to remedy the ancient guilt, and to restore the relationship with God; a Witness who would speak in an authentic way of divine life. You needed a Saviour. He had been promised to your fathers, immediately after their fall, and the Saviour Jesus Christ, Son of God came on Earth. Here He was incarnated, died and rose up again, for good and all, for the benefit of all people of the universe. He presented himself as LIFE, nullifying the power of death, which is the highest degree of corruption, the bitterest fruit of original sin. Death still exists, this is true, but it will not be like this forever: at the end of times, death must give way to endless life, because Jesus died and rose up again and took away from death the power to nullify humanity. Man fears death, and all other fears originate from this fear. Lucifer has understood how to exploit to his advantage the fear of man before death. The biggest limitation of the creature is in fact death; Lucifer blamed God for the death of men, and promised them to make them immortal in exchange for their alliance. With his death and resurrection Jesus has taken away the power of death to terrorize you. Now you know that in him you can cross the barrier of death, and that death is not eternal; it cannot touch your spirit; it touches your body, until, at the end of times, you will rise up again and death will be annulled forever. Since Jesus Christ, mankind has set out towards the end of times, which does not mean catastrophes but the realization of God’s plans. The end of times is the end of old things and the beginning of a new reality; it is the transformation of humanity and of all creation into the image of the glorious Christ, who has overcome all barriers, including that of death. Your belonging to Jesus Christ and the sincere donation to him are the guarantees of a transformed and victorious life over evil, of a sure path towards the knowledge of God and of the reality as it is in God. Jesus opened a new space before each of you, a correct perspective from which you can catch the action of God and participate in it, not as slaves executing orders but as children. By accepting to die and rise up again for you, He paid your debt before the Father; He made you his brothers and children of God. Now you can stand face to face with God without fear, and put into action your dignity and greatness in order to perform effectively the mission entrusted to you, that of supporting together with the Creator the life of the universe. Yes, it is your life which, united with that of God, sustains the whole creation, if you are able to immerse your being in God, recognizing yourselves as his creatures. The life of each of you is irreplaceable in the plans of the Creator! Jesus Christ was obedient to the Father even until death. In becoming man, He agreed to take upon himself the limitation of creatures except sin; He took it to the cross and defeated it with the resurrection. With his sacrifice Jesus brought back your position to an equal level with that of the humanities that remained loyal from the beginning. Even you can go beyond your limit, if you love and welcome Jesus Christ and sincerely donate your life to him. You will succeed in coming to the knowledge of God and of reality and understand the laws of the Spirit that govern life. Even if the gap of knowledge between you and your faithful brothers of the universe is very big, however, now you have the same opportunities than they have, because you are all children of God, who have equal dignity before the Father. However, it is necessary for you to accept that you belong to Jesus Christ and through him to the Father in the power of the Holy Spirit. I assure you that if the whole humanity on Earth repented, recognized and accepted Jesus Christ, offering itself to him, it could very quickly overcome the physical and spiritual distance that separates it from the humanities faithful to God. Many of you are asking themselves what to do to truly belong to Christ. I answer you that you need to offer him your life. Only the offering of your life will immerse you fully into the life of the Most Holy Trinity. Let me explain why: the donation of yourself to Jesus enables you to entrust your limitation as creatures to him. Jesus takes it upon himself and plunges it into his death and resurrection, uniting you closely to him in order to raise his and your offer to God the Father, Who welcomes you together with Jesus and sends me to you. I descend to sanctify your offer, joining you even more to the Son. Then, from the Heart of Christ his life and his power, victorious over death, flow in you. Therefore, from victory to victory you will see your whole being become transformed, since the material part in man, which is the dominant part in you, gradually gives way to the spiritual part, which is in you, but which has to be awakened by the love and the action of the One and Triune God. Who is Jesus Christ for you? The King of the universe, or Jesus of Nazareth? Do not be surprised about this question: many Christians no longer have the clear perception of who Jesus is. He remains a distant figure, which is known by hearsay rather than by personal experience. A figure faded by the time, like the personages of history one studies at school and forgets as soon as the books are closed. Jesus does not live in books, even if they are nice and speak about him: Jesus lives in your spirit. He is not locked up in a period of your history, but lives forever; and He is always the same, because He is God. He continues to work in your history, now as then; He did not stop in Palestine, but ascended into heaven and is seated at the right hand of the Father; He is the Lord of the universe. He is not a personage but a Person, the Second Person of the Most Holy Trinity. Are you aware of this? Do you know that Jesus Christ leads you to the Father, or is it enough for you to pray to Jesus? If you do not understand that Jesus lives for the Father and wishes to lead you to the Father, you did not fully understand his work. Many Christians see Jesus in his aspect of the suffering crucified, and they stop to pity him, or to ask him comfort in the tribulations of life. This certainly is not wrong, because Jesus was true Man, suffering on the cross; He is also the man of sorrow who knows very well your suffering and that of the world and helps you to carry your crosses. However, it is necessary to make a step further: you must also look at his resurrection and ascension into heaven. ·By resurrecting, Jesus restored the primacy of life over death, making visible in an evident way the power of the Father the Creator, who lives and triumphs in his Son the Redeemer, He who saves the whole creation from death. Jesus ascended into heaven and is seated at the right hand of the Father, and intercedes for all of humanity. This means that the work of Jesus is not exhausted by what He has done on Earth, but is extended in time and space for all eternity. He is always in action to lead his people to the true Promised Land, which is the new creation. It is an eternal and incorruptible dimension, in which the entire humanity, finally recapitulated in Christ and united to him, will be introduced at the end of times. Do you know that the Father and the Son are always working in the power of the Holy Spirit? The action of both is inseparable from my action. Everything the Father and the Son desire, they fulfil through the Holy Spirit. I proceed from the Father and the Son, because I am sent to fulfil what the Father and the Son want. However, I am not a simple executor of commands, but I myself am God. Therefore my desires coincide perfectly with those of the Father and of Jesus. I search the depths of every living being, but first of all, I search the depths of God; for this reason I know the desires of the Father and the Son, which are my very own desires, and I possess the divine power to implement them. God could not have entrusted any creature with the full realization of his will, if not to himself; no creature, irrespective of how good it ever might be, could hold all the power of the thought of God nor his immense strength. I am the Third Person of the Most Holy Trinity; in me and through me the divine Trinitarian Will is perfectly realized. Unfortunately, many Christians ignore me and in this way do not allow me to act fully in them; but if I do not act in you, it will be difficult for you to understand and implement the will of God. I am asking you to join me, so that I can join you to the Father and the Son. For the moment, we stop here. I would like you to think about the things I talked to you about and to abandon yourselves in a docile way to my action; I will enclose you with my power to offer you to the Most Holy Trinity. The Holy Spirit told me that when He uses the term „God“ He refers to the Most Holy Trinity.